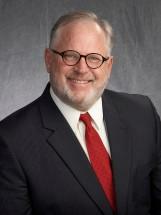 Norman P. Katnik earned a Bachelor of Science degree in Public Administration from the University of Arizona in 1981. While attending the University of Arizona, Norman was the starting center for two years for the Wildcats football team who played in the 1979 Fiesta Bowl. In 1979, Norman’s senior season, he was selected as the recipient of the team’s “Tough Boot Award,” which was awarded to the Outstanding Lineman of the Year. Prior to attending the University of Arizona, Norman attended Saddleback Junior College, where he was selected to California’s All-State and the All-American football teams as an offensive center. Norman’s football career ended in 1981 after his participation in the Detroit Lions training camp. In 1982, Norman enrolled at Western State College of Law, where he earned his Juris Doctor in 1985. Norman, in 1985, was sworn into the California State and Federal, Central District, courts. Norman joined the legal practice of his father, Andrew P. Katnik, at 1501 North Broadway in Santa Ana, California. Thereafter, the firm name was changed to Katnik & Katnik Lawyers. Throughout his 30+ year career, Norman has established himself as a seasoned trial lawyer, obtaining several million dollar settlements, recoveries, and judgments for his clients in every area of his practice: motor vehicle, general liability, medical malpractice, and workers’ compensation. Norman now fulfills an Of Counsel role at Katnik & Katnik Lawyers and continues to represent clients in injury and bankruptcy law. Norman resides with his wife Dacia in Santa Ana, California. Norman is a parishioner of St. Cecilia Catholic Church, the very church where he and Dacia were married more than 35 years ago. Norman is active in his Church, where he taught First Holy Communion classes for several years. After raising their four children in the Catholic faith, Norman and Dacia are now empty nesters with traveling on the top their agenda.